ARC Consulting Group can design your network whether it be a small peer to peer network or a large multi-server network spanning multiple locations. 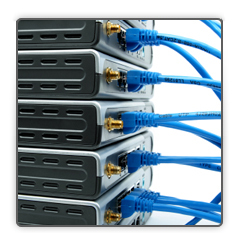 We make sure you have the right size network for your business now with room for expansion as your business grows. The protection of information is vastly important to business. Let us design the right security to your information secure. We also use the best security on the market like Cisco's Pix Firewall. Your company's confidential and operational information is the most important reason to create a backup periodically. ARC Consulting Group makes the backup process transparent and reliable to employees and clients.